State-owned Oil and Natural Gas Corp's (ONGC) Rs 4,022 crore share buyback programme will open on January 29 and close on February 11, the company said in its offer letter to shareholders. ONGC's board had on December 20 approved buyback of 25.29 crore shares for Rs 159 apiece as part of the government plan to get cash-rich PSUs to part with their surplus. The government, which holds 65.64 per cent stake in the company, stands to gain about Rs 2,640 crore from tendering some of its shares in the buyback programme. "The funds for the buyback will be met out of internally generated cash resources of the company," it said. ONGC said buyback is the acquisition by a company of its own shares. A buyback is an efficient form of returning surplus cash to the members holding equity shares of the company. not exceeding Rs 4,022 crore," it said. ONGC said the buyback is not likely to cause any material impact on the profitability/earnings of the company and will not in any manner impair its ability to pursue growth opportunities or meet its cash requirements for business operations. "The buyback is expected to contribute to the overall enhancement of shareholder value and result in an increase in the return on equity of the company," the letter said. The buyback follows government pushing cash-rich PSUs to use their funds to buy back shares or pay a higher dividend. The government is looking to bridge budgetary deficit through higher receipts of dividend as well as selling its shares in PSUs in the buyback programmes. 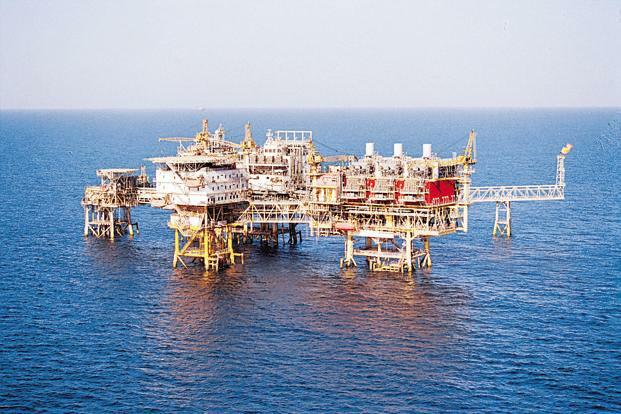 ONGC will, however, not pay an interim dividend for now as it is left with almost no surplus after accounting for its capital expenditure, sources with knowledge of the development said. Last month, state-owned Indian Oil Corp (IOC) said it will buy back 29.76 crore shares for about Rs 4,435 crore and spend another Rs 6,556 crore on paying an interim dividend to shareholders. The board of IOC, the country's largest oil firm, approved buyback of up to 29.76 crore equity shares, or 3.06 per cent, at Rs 149 per share. Besides ONGC and IOC, at least half a dozen other central PSUs have disclosed share buyback programmes. Prominent among these are NHPC, NMDC, Coal India, Oil India, BHEL, NALCO, NLC, Cochin Shipyard, and KIOCL. The government is expected to participate in each of the share buyback programme of these PSUs with anticipation of netting over Rs 5,000 crore.